What's not to love with this project? 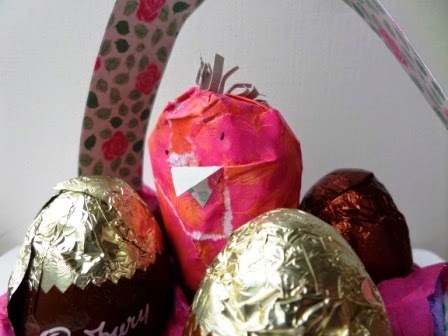 It combines paper, glue, chocolate and a small child! 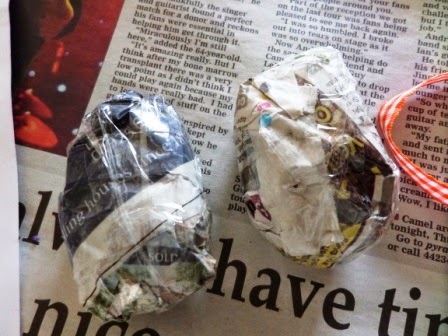 I was sent some packs of Cadbury's Egg and Spoon Easter eggs to craft with, and my granddaughter Emily, aged 3, was delighted to get sticky in the name of Easter presents for Mummy and Daddy! 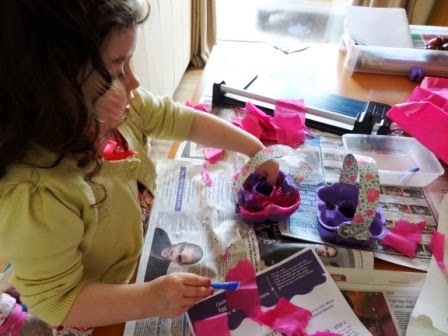 Emily worked hard with glue and paper, and concentrated for such a long time on gluing and sticking. 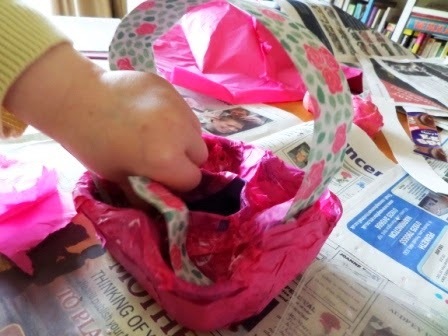 She chose some flowery paper from my stash for the handles and we found some co-ordinating paper that had feathers on - perfect for a pair of pink chickens, we thought! I did the cutting, and Emily did pretty much all the gluing. 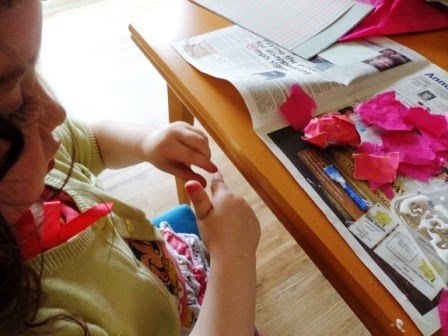 She also spent a long time peeling glue from her fingers. She enjoyed that part almost as much as sticking the paper down, I think. 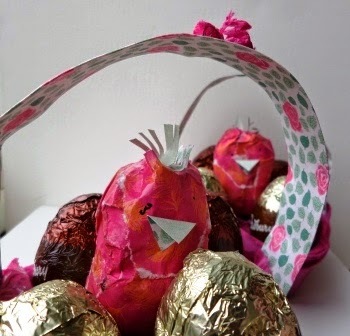 Emily then covered them to make her pretty pink chickens... I added the beaks and the hairdo! She added their eyes herself when the (rather generous amounts of) glue had dried. 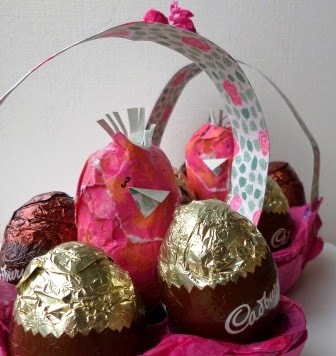 I think Mummy and Daddy will enjoy getting their chicken and eggs for Easter! 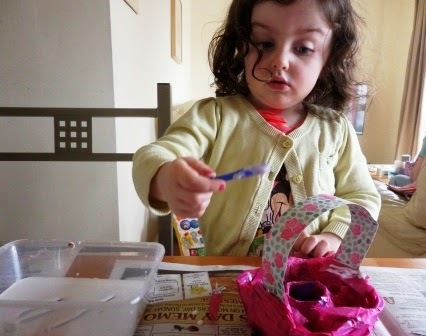 And Emily was so engrossed in her crafting that she didn't once ask for chocolate, despite it being there in front of her! !